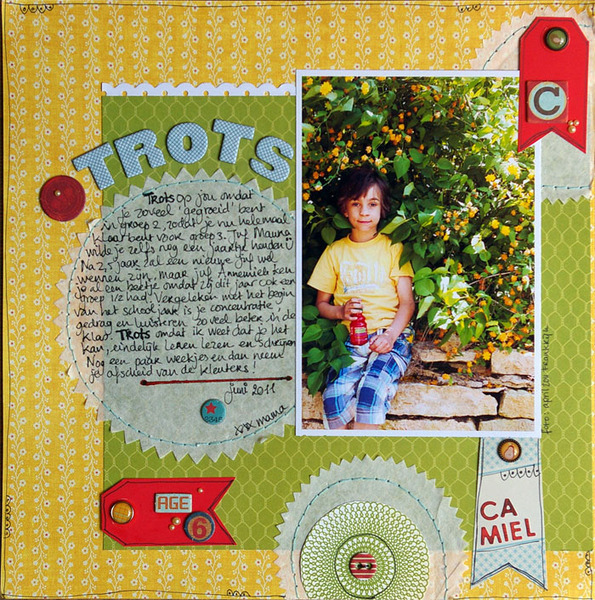 Made this LO about how proud I am of the changes Camiel have gone trough this last schoolyear, according to his teacher. Regarding his behavior, expressing himself and his concentration, it is still his weakest piont. But he totally ready for group 3 now. Time to start learning how to read and write and his looking forward to it. He already tries to read words by himself. Love to exprience this proces. 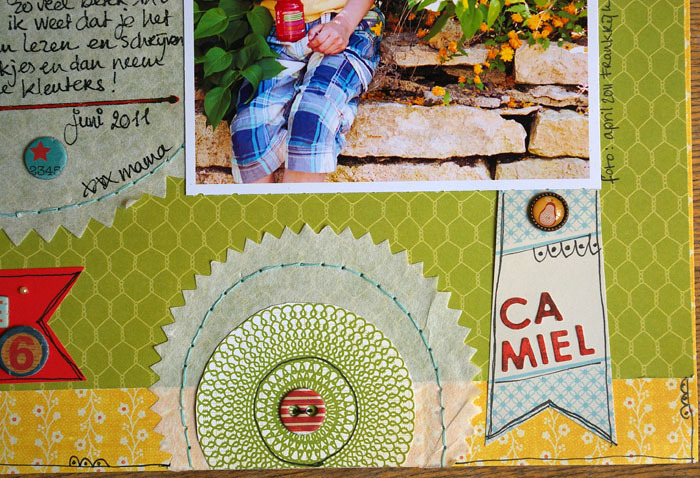 I love the paper circles that in were included in the SC Lawn Party kit, this time I used it for journaling spot and that chickenwire paper (exclusive SC) has such a yummie color. I punched the holes for the sewing circles wit the sew easy (fun tool). Picture was taking during our last holidady in France. Have a good weekend. I hope to start scrapping my may Project 12 pictures soon, time flies we are already half way june. 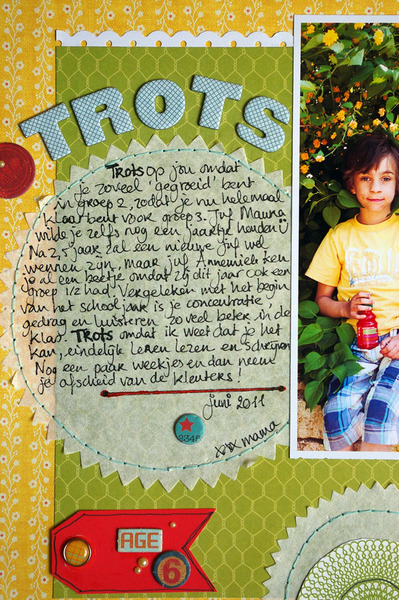 Wat een mooie LO en mooie/lieve journaling!! Ja ze worden snel groot hè?! Ik weet het nog zo goed, mijn kleine jongetje (nu bijna 19!) die leerde lezen... elke leeftijd en fase heeft zo z'n mooie kanten. Geniet van hem, van het weekend en straks van de vakantie!